Does your commercial property require egress compliance? Have you recently been audited and failed fire door exit requirements? 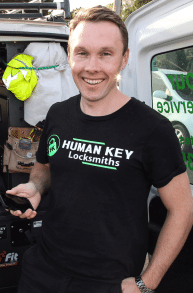 At Human Key Locksmiths we specialise in egress door compliance. Call us to arrange a walk through of your Commercial property to discuss your requirements. Don’t let other trades tell you that you need new doors installed. Most of the time we can use your existing doors and install/remove lock furniture to meet requirements.